Yesterday, was the beginning of a 5 day trip for my Wisconsin crew. Walleye Weiss and Jim fished with me this same week, for three days, last year with their friend, Jack. This year though, Jack couldn't make it, so they invited their friend, Dennis to come along. They are a friendly crew and a lot of fun to fish with, which is no surprise since they come from my home state....woot! woot! Anyway, I told them before they came down that the perch bite was off, and that I wasn't confident in finding them a cooler full each day, and said that we should consider walleye fishing instead. The walleye bite is still pretty hot, and I doubt that it is going to end any time soon. 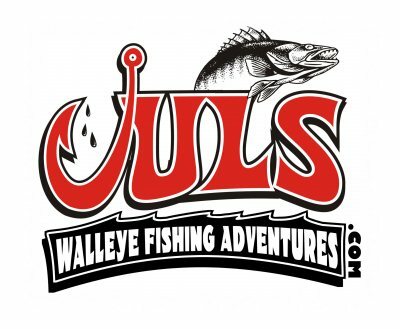 I gave them the option of canceling, rescheduling, or fishing for walleye. They still wanted to come down and go fishing. So, the plan yesterday, (Monday), was to go walleye fishing and then, if there was time, go look for some perch, and see if the bite had picked up. When I was readying the boat, Walleye said, "My buddy got two limits two days ago, and he gave me his numbers". In my head, I was thinking, "Oh boy...numbers from two days ago! He wants to go perch'n". I asked him if that was the case, and he wanted to try it, so I said, "Okay, let's go give it an hour and a half and if nothing bites, we'll go chase the walleye". So, that's what we did. We go to his buddies numbers and the Helix was only showing us a handful of perch on the bottom. So, we moved around a little until we found better marks. We fished that spot for about an hour and a half, moving a little once or twice, with only 15 perch for our efforts in the cooler. We talked it over and they decided to take my advice and go fill the cooler with walleye first, and then, if there was time, go look for more active perch on the way back in. I met my crew at Big Bopper's for breakfast and enjoyed a nice chat before heading to Mazurik's to launch. I thought it was going to be closed for three days after the holiday weekend, but it's going to be closed the 10th, 11th, and 12th next week. We launched before sunrise and headed east towards Huron. We got to the area I wanted to fish, which was in 37 foot of water, and set the Ulterra on an easterly course. The baby ETEC pushed us at the usual 2.4-2.5mphs. Dipsies set on the 3 setting were set out at 75 and 80 back, while the dipsies on the 1 setting were set 57 and 61 back. A 40 Tru-Trip Jet was set at 83 back. Everything caught fish at one point or another. We caught our limit of 24 walleye plus a plethora of white bass, white perch, and sheephead, and some young walleye not big enough to keep. The guys had a great time learning how to run the dipsies and did a great job. We went looking for perch when we were done, but only caught a half dozen or so, out in front of Lakeside, before their time was up. Tomorrow is going to be another nice day....and, we'll be back at it in the morning.